Based on American with Disabilities Act regulations, companies and public places must provide ADA signage. These signs are easy to read and tactile by touch (braille). We provide the best ADA Signage with the highest quality in variety of colors, sizes and designs. We make sure to follow federal regulations regarding the matte finish and the high color contrast of our ADA signs. Contact SignOfVip.com today to order your costom-made ADA signs. These outdoor signs are a great tool to attract your customer’s attentions. You can put them on your curbside and mention the service you provide or the promotion going on your business. They are light-weighted and can carry inside the store/office at the end of business hours. Contact SignOfVip.com today to order your custom-made A-frame! Banner stands are lightweight, easy to carry and install. At the same time they look professional, stylish, attractive and come in many shapes and options. They can be packed in a small carrying bag. Contact SignOfVip.com today to order your custom-made banner stand! Changeable Letter, Number and Symbol Sets are very helpful to make your specific massage fast and easy. Changeable letters can be put on Plastic or Felt Letter Display Board. The letters have long-lasting performance in all kinds of conditions. Contact Signofvip.com today to order your custom-made changeable letters! Channel letters and numbers are a great tool to show your business name or logo to the prospect customers. They come in various shapes, colors, trims and are available in plastic and metal. Contact signofvip.com today and order your custom-made channel letters! According to construction laws all construction job sites must hold proper signs. These kind of signs carry all the details regarding the job, contact information in case of emergency or precautions that visitors should take while they are at the job sites. Contact Signofvip.com today and order your custom-made construction signs! If you are a contractor you can take advantage of our signs. Contractor signs are available in a variety of colors, sizes and shapes and are weather-resistant. Signs can be single or double sided. Contact Signofvip.com today and order your custom-made contractor signs! We can engrave trophies, acrylic awards, badges, ribbons, plaques. Sale awards, fire and safety awards, employee awards and religious awards. Contact Signofvip.com today and order your custom-made engraving! Directional Sign Systems helps way finding clarity for visitors and introduce your brand identity throughout your business center/office. Many configuration options are available for directories such as: flat, curved and portrait styles. Also, Acrylic or wood end cap Options are offered. Contact Signofvip.com today and order your custom-made directories! Engraved signs are available in many colors, sizes and materials. From name tags to company's directory, way to find signs and ADA signs. We can engrave your idea on plastic, brass, glass or metal. Contact SignOfVip.com today and order your custom-made engraved signs! Hanging signs are a great tool for advertisements. From store's signs to trade shows you can show your potential customers what kind of service or merchandise you offer. Contact SignOfVip.com today and order your custom-made hanging signs! 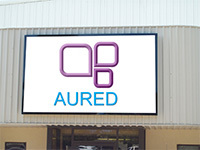 Outdoor illuminated signs help you to show your company's name, logo and other information on your store front. The indoor illuminated signs are a great tool for advertising inside hotels, movie theaters and airports. Contact SignOfVip.com today and order your custom-made illuminated signs! Indoor banners are great for POP displays or decor. Indoor banners offer high print quality and versatility with a smooth matte finish. They are not waterproof or scuff resistant. Contact SingOfVip.com today and order your custom-made indoor banners! Posters are printed on a photo quality, glossy paper stock. Posters can be used to print enlarged photos, signs and artwork. They are delicate and not scuff resistant or waterproof. Contact SingOfVip.com today and order your custom-made large posters! Life-size cutouts are a fun addition to any parties or gathering. You can email or bring the picture to us. We can make your cutout with any background you like. Contact SignOfVip.com today and order your custom-made life-size cutout! Magnetic signs can be used on any surface made out of iron. From metal doors, drawers, cabinets to fridge door, you can provide your business information or your massage to your customers/clients. Contact SignOfVip.com today and order your custom-made magnetic signs! Manu boards are an essential part of food service operation. We can provide an easy to read at the same time sophisticated addition to your business. 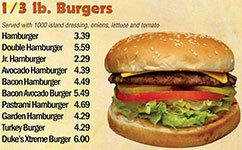 This includes the kinds of foods and/or services with corresponding prices. Contact SignOfVip.com today and order your custom-made menu boards! Outdoor banners are waterproof and durable, can be used outdoors and indoors. They are used for billboards, building wraps, banners, trade show signage and more. Contact SingOfVip.com today and order your custom-made outdoor banners! Post and panel are a great idea for outdoor signage. We can make any shapes and sizes you desire. It is a classic tool to attract potential customers/clients to your business. Contact SignOfVip.com today and order your custom-made post and panel! These signs are a must for your property. They can be made in a variety of material such as aluminum, magnet, PVC and vinyl. Exit signs, stairways, emergency exit and different arrows showing which direction individual should follow inside a property. You can choose the color of signs and the background. Contact SignOfvip.com today and order your custom-made property signs! All real estate agencies need to inform people if there is an "Open House", "For Sale", and "For Rent" in the neighborhood. As a matter of fact without these signs hanging out or installed outside a property how prospective buyers must know if there is such an offer. We make our real estate signs very distinctive and easy to read from distance to attract potential customers. If you own an agency or are an agent you definitely need our signs. 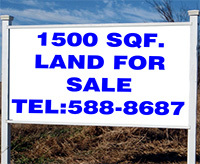 Contact SignOfVip.com today to order your custom-made real estate signs! Your reception area in your office or store gives the first impression about your business. We can offer a variety of options for your reception area such as: ADA, dimensional lettering, track lettering, vinyl lettering and graphics, wall frames, LED displays and much more. Contact SignOfVip.com today to order your custom-made reception signs! These signs are typically used for yard, parking, real estate, and election signs. They are waterproof therefore, can be used for a long time outdoors. Contact SIGNOFVIP.Com LLC today and order your custom-made rigid signs! Safety signs are also known as OSHA signs. These signs must be installed in areas where extra caution is necessary. When these signs are available in the work place/construction sites the area is a safer place for employees, customers and clients visiting your site. "No Smoking", "Fire Exit", "Bio Hazard Waste", "Hard Hat Area" are just few examples of safety signs. Contact SignOfVip.com today and order your safety signs! These signs include a variety of signs such as: changeable letter signs, custom signs, A-frame signs, and dry erase signs. The side walk signs can get stabled by different kind of weight system. The sign can stay out of premise and can be carried inside easily when the business is closed. These signs are convenient and portable and if you decide you can change the location of the sign or change the massage on them. Contact SignOfVip.com today and order	your sidewalk signs! We offer different kind of sign stands that are included but not limited to: Corrugated Yard Signs, Wire H-Frame, Angle Iron H-Frame, A-Frame, Angle Iron H Frame no Rider, Rounded Rod Frame and Heavy Duty Wire H-Frame. The piece of signs that is inserted inside these frame/stands can be changed easily. So, having these stands is a good investment for your advertisement. Any time you like to change your sign, the old one can be removed and the new one can be popped in. Contact SignOfVip.com today and order your sign stands! If you are a developer or real estate agency you will benefit from site signs. These signs can promote more business for you as they attract daily traffic. The site sign can be built single or double sided. Our professional designer staffs ensure to satisfy your business needs by using proper font, size and color. Contact SignOfVip.com today and order your custom-made site signs! These are a new trend in the sign business. They are chick, portable, durable, LED powered (very energy efficient) and simple to operate (turn on and off switch). The screen is flat, bright, and attractive and can brighten up your office day or night. Contact SignOfVip.com today and order your super slim light box! We can put your logo, company name, contact information and description of your business/service on your car or truck. Your investment in this advertising will pay off; even if you park your vehicle in a busy street you expose your business to customers. As cars/trucks' sizes vary, they should be measured first and then the graphic job will be costume made. The materials that we use are weather resistance. Our team of professional staffs does all their efforts to meet your needs and provide you with the most attractive, recognizable designs. Contact SignOfVip.com today and order your custom-made vehicle graphics! Vinyl Banners are the most cost effective and popular sign for adverting today. Our banners are printed with UV protected ink, so the prints won't fade months after months exposed to sun light, wind or rain. Vinyl banners can be used in trade shows, inside or outside of your premises. They are cost effective, long lasting, and economic Contact SignOfVip.com and order your custom-made banners today! You can use vinyl wall lettering/graphic designs for your office, showroom or even your house. You can choose the material to permanently or temporary stick to the wall. They don't damage the paint on the wall. So, be creative and turn a boring ordinary room to a room full of energy, inspiration and colors. POSITIVE SIDES: Vinyl wall lettering can be made in any size, color and design; they can be removed easily (if you choose to be made removable). They are an inexpensive option to a room makeover. Contact SIGNOFVIP.Com LLC today to order your custom-made vinyl wall lettering! Window clings are an easy option for decoration or announcing a promotion on your window. They can be removed any time without damaging the applied surface. They can be use and reuse several times. We use fade resistance, UV ink on opaque vinyl material. Contact SIGNOFVIP.Com LLC today to order your window cling! 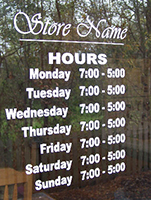 Window signs are designed for indoor or outdoor usage. We custom-make it in a size that could be noticeable to customers. We use different materials thicknesses and shad which can also made in plastic or metal. Window signs can provide contact information; in case your business is closed the customer can get your phone number, website or email address and contact you and you won't lose a potential customer. Contact SignOfVip.com to order your custom-made window signs today! Yard signs are available in different sizes, designs and materials (metal or plastic). Campaign signs and real estate signs are some examples of yard (lawn) signs. Contact SignOfVip.com today and order your yard signs!